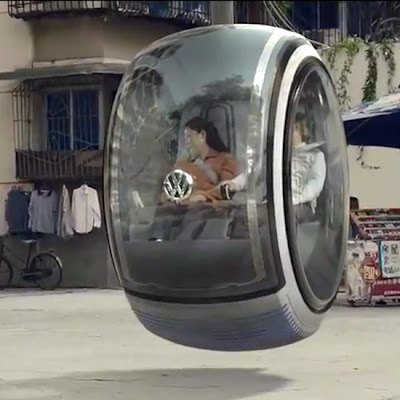 The Volkswagen Hover Car is a pod-like zero-emissions vehicle that uses electromagnetic road networks to float above the road. 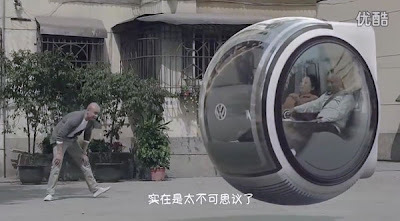 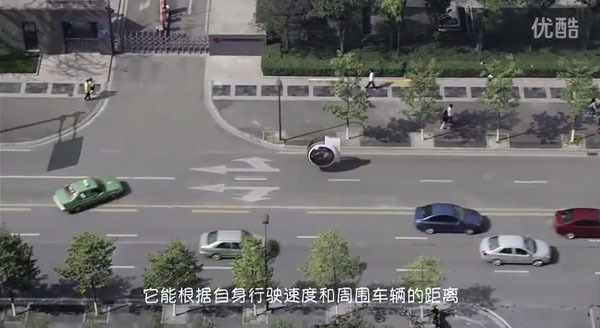 The small Volkswagen has two seats and a joystick and, to demonstrate how the car would work, a Chinese couple appears to put the flying car to the test around the bustling streets of Chengdu. The two seem reluctant to climb aboard at first, but once they lift-off, they seem to enjoy all the attention the pod car gets.. 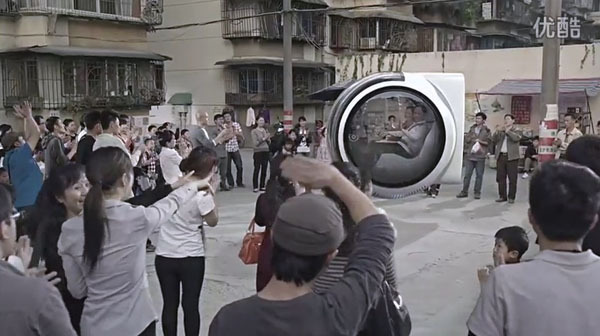 Eye got to get one of does! 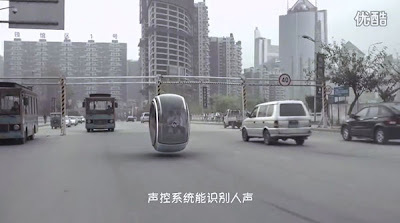 Oh my God, this is really amazing.